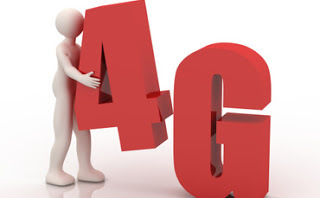 As most of us already know, Airtel is the only mobile operator in Nigeria that still doesn't offer 4G LTE network, but that might be changing soon as report has it that Airtel will be rolling out it's 4G LTE later this month. MTN, Glo and Etisalat (9mobile) rolled out their own 4G LTE network last year 2016 and now Airtel have decided to join the league. If you remember, Airtel NG partnered with Ericson last month November for core network upgrade. Airtel signed a three-year contract with Ericsson to transform its core network in Nigeria thereby enabling faster mobile broadband. This might probably be the reason for this new development. The proposed Airtel NG 4G LTE is expected to first roll out to 3 states which are Lagos, Abuja and Port-Harcourt and then subsequently roll out to other states. We just hope this happens real soon as it will help improve the current Airtel network a lot.